Kristallnacht, translated “Crystal Night,” referred to as the Night of Broken Glass, was an atrocious pogrom against Jews throughout Nazi Germany that took place on November 9–10, 1938. It was carried out by Sturmabteilung (SA) paramilitary forces and civilians. 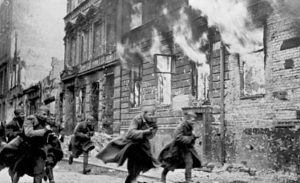 The German authorities looked on without intervening as the mobs tore through the towns. The attacks were said to be retaliation for the assassination of the Nazi German diplomat Ernst vom Rath by Herschel Grynszpan, a seventeen year old German-born Polish Jew living in Paris. I guess I don’t understand why the act of one person should cost the lives of so many. 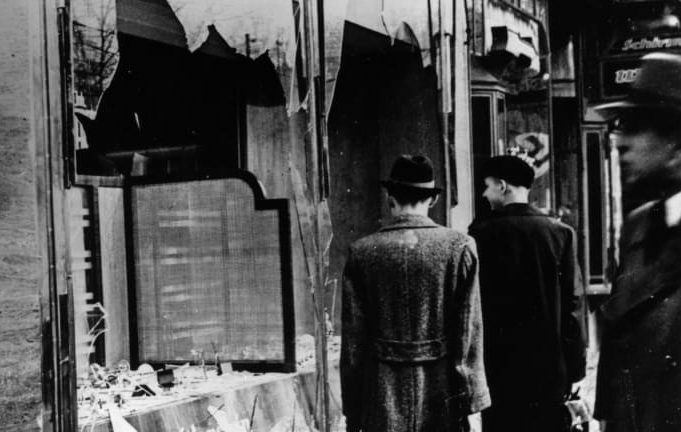 The name Kristallnacht comes from the shards of broken glass that littered the streets after the windows of Jewish-owned stores, buildings, and synagogues were smashed. Of course, the carnage didn’t stop with the windows. Estimates of the number of fatalities caused by the pogrom have varied. 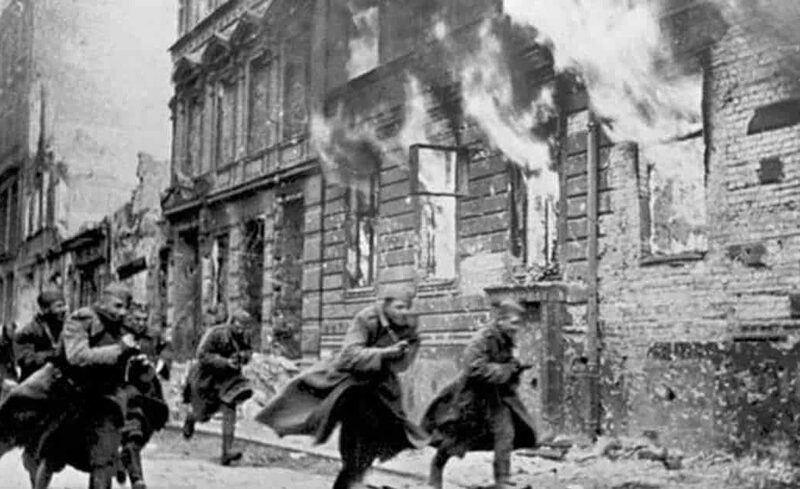 Reports in 1938 estimated that 91 Jews were murdered during the attacks, but modern analysis of German scholarly sources by historians such as Sir Richard Evans puts the number much higher. It also includes deaths from post-arrest maltreatment and subsequent suicides as well, and puts the death toll into the hundreds. Additionally, 30,000 Jewish men were arrested and incarcerated in concentration camps. The numbers of those killed there are unknown, but we can easily imagine based on what we know of the Holocaust. Breaking windows wasn’t enough for these mobs either. Jewish homes, hospitals, and schools were ransacked, as the attackers demolished buildings with sledgehammers. 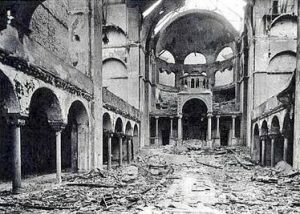 The rioters destroyed 267 synagogues throughout Germany, Austria, and the Sudetenland, and over 7,000 Jewish businesses were either destroyed or damaged. The British historian Martin Gilbert wrote that no event in the history of German Jews between 1933 and 1945 was so widely reported as it was happening, and the accounts from the foreign journalists working in Germany sent shock waves around the world. At that time it was still hard to believe that mobs of lawless people could exist, but that was 80 years ago. These days we have no problem believing it, because these actions are almost commonplace. The British newspaper The Times wrote at the time: “No foreign propagandist bent upon blackening Germany before the world could outdo the tale of burnings and beatings, of blackguardly assaults on defenseless and innocent people, which disgraced that country yesterday.” Kristallnacht was followed, of course, by additional economic and political persecution of Jews, and it is viewed by historians as part of Nazi Germany’s broader racial policy, and the beginning of the Final Solution and The Holocaust.